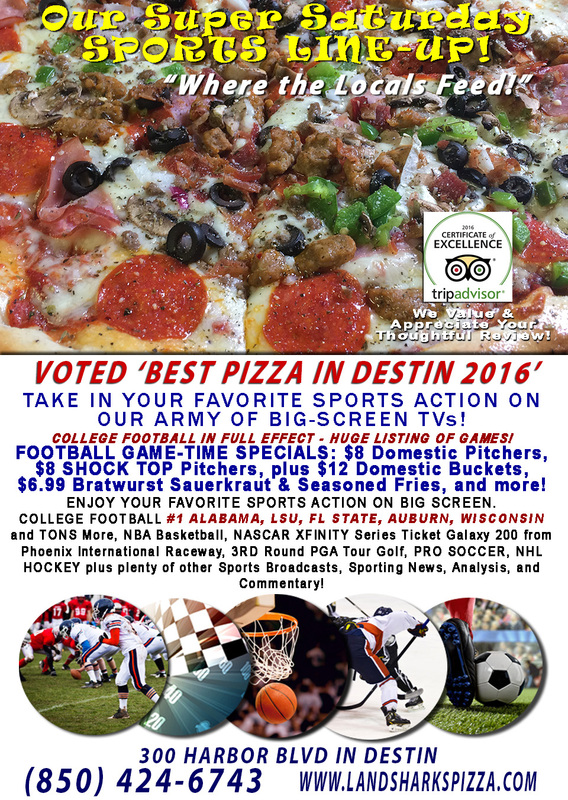 / Best Pizza In Destin Florida / Sunday FOOTBALL SPECIALS – You Score, We Pour|$8 Pitchers & MORE – PATRIOTS vs 49ers, COWBOYS vs RAVENS & PACKERS vs REDSKINS, EAGLES vs SEAHAWKS! 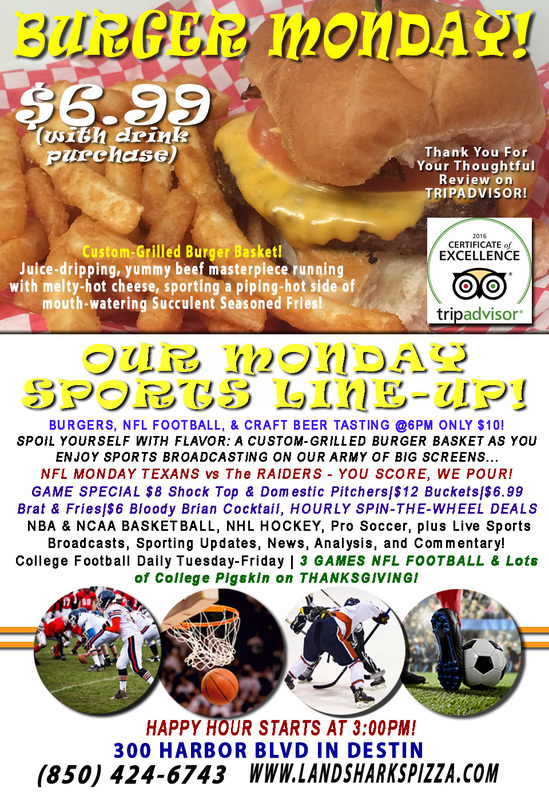 Sunday FOOTBALL SPECIALS – You Score, We Pour|$8 Pitchers & MORE – PATRIOTS vs 49ers, COWBOYS vs RAVENS & PACKERS vs REDSKINS, EAGLES vs SEAHAWKS! WEAR YOUR FAVORITE NFL TEAM’S JERSEY AND GET A FREE BEER POUR WHEN THEY SCORE A TOUCHDOWN! 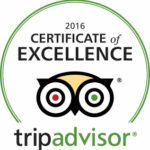 ‘Spin the Wheel’ Deals on Food & Beverages every hour! Let’s see, there’s the TITANS vs COLTS, BUCS vs CHIEFS, BEARS vs GIANTS and LOTS MORE! $8 Domestic Pitchers | $8 Shock Top Pitchers| $12 Domestic Buckets | $6.99 Bratwurst & Sauerkraut & Succulent Seasoned Fries| $6 Bloody Brian Cocktail, AND MORE depending on how excited the owner gets! SPORTS ON OUR ARMY OF BIG SCREENS – We’ve also got NASCAR Sprint Cup Series EcoBoost 400 Homestead-Miami Speedway, NBA Basketball, NHL Hockey, PGA Tour Golf, Pro Soccer, & Pro Tennis wrapping up at the Barclays ATP World Tour Finals from merry ol’ England, plus plenty of other Sports Broadcasts, Sporting News, Analysis, and Commentary! MORE NFL This Week: TEXANS vs RAIDERS for Monday Night Football. 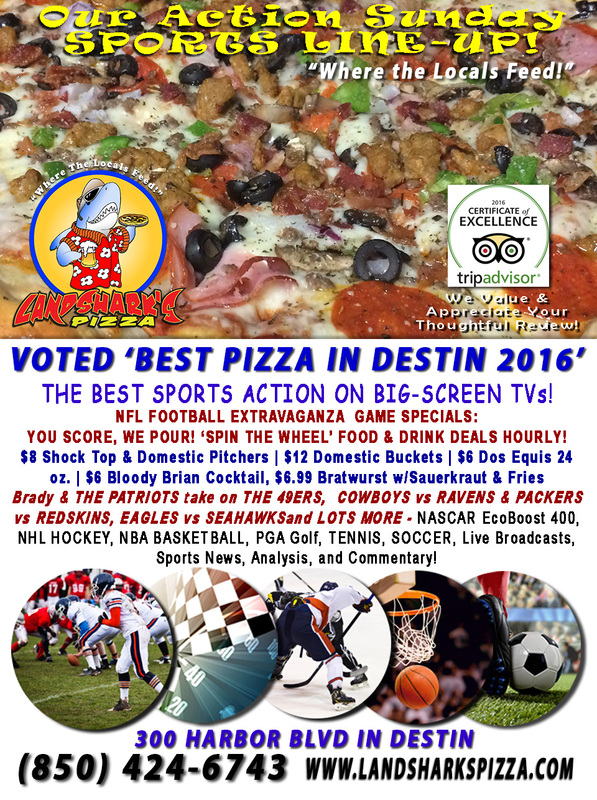 We look forward to seeing you here at Landshark’s Pizza Company, 300 HARBOR BLVD in Destin – call us (850)424-6743, and get your thrills at www.landsharkspizza.com! Previous Post: « A SUPER SATURDAY of Sports #1 Alabama, LSU, FL State, Auburn on Tap $8 PITCHERS, $12 Buckets & TONS More!